Providence Health and Services hires ministry experts to make sure the Catholic system hews to its mission of compassion and caring for patients on the peripheries. Putting the mission and values on paper is one thing, but designating advocates who are in on every decision is something else entirely, said Jean Powell Marks, senior communications manager at Providence Portland Medical Center in Northeast Portland. Mission directors emerged in the 1970s when Catholic hospitals had fewer women religious in charge. The strategy was to form lay leaders in the charisms of the religious communities like Providence. In Oregon, Providence has 12 mission directors who are in on hiring decisions, master plans and budgeting, among other matters. She is impressed with Providence leaders, both because of their dedication to mission and their willingness to hear when they veer off track. Mission directors need to stay up to date on the pressures and trends that could pose a challenge to the mission — including finances, bioethics and stress among workers. Mission directors often convene physicians, nurses and other workers to listen to their experiences and in turn create minute-by-minute mindfulness about values. 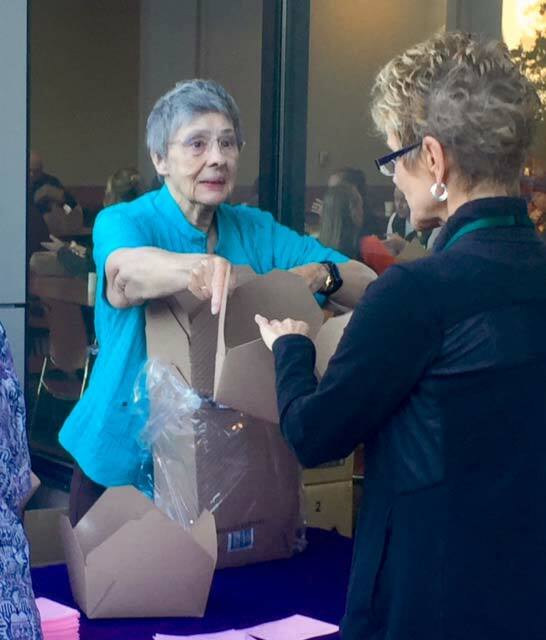 Sister Lynda has taught deep breathing and other stress relievers so employees can more easily continue to see the dignity of patients and families. “We are teachers and we are facilitators and companions on a journey,” she said. Mission directors sometimes see to it that patients get help even after they leave the hospital or clinic, despite the cost. The values of Providence include connection to ongoing resources and care, said Sister Lynda. For example, elders who lack food get linked to community health providers like Meals on Wheels and other senior services. Spanish speaking patients get introduced to a team of Providence health promoters at parishes and other places. Mission directors get involved in budgeting at Providence, since spending reflects values. But even when the Providence Sisters opened their first Northwest hospital in 1858, it had to be run soundly so it could survive. 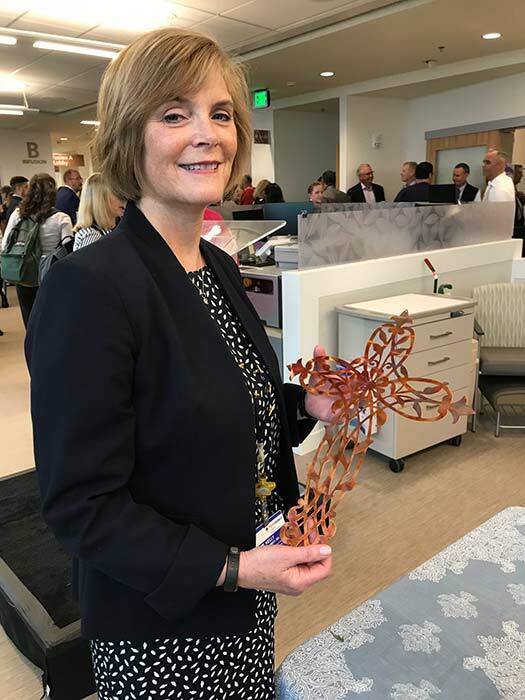 Kelly Schmidt, a longtime parish worker and chaplain at Providence’s Center for Medically Fragile Children, is new mission director at Providence Portland Medical Center. According to Schmidt, Providence executives welcome the constant reminders of mission. “That’s inspiring for me,” said Schmidt. She feels a duty to sustain the heritage of the Providence Sisters, which is part of the training for every Providence employee, whether they are cleaning toilets or performing brain surgery. Providence Health Service System/Providence St Joseph, is the catalyst and burning torch to patient and community engagement. When, looking around you see the Providence banner at the helm of most outreach systems. Thus, allowing those seeking care to know and remember Providence is here - to serve. This comment has been hidden due to low approval.